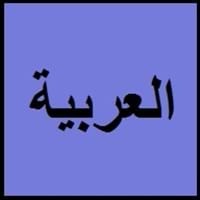 How many people speak Arabic? 1.1 How Many People Speak? Do you know how many people speak Arabic? Different languages are spoken in different regions. Do you know how many people speak Arabic? 452.00 million people speak Arabic language worldwide. These ethnic group speaking Arabic is Arabs and International Phonetic Alphabet IPA of Arabic is /al ʕarabijja/, /ʕarabi/. Find if Arabic is one of the Most Spoken Languages. How many people speak Arabic gives you total count of Arabic speaking population in millions and in percentage worldwide. Are you interested in finding the countries that speak Arabic, then check Arabic Speaking Countries and get to know all the Arabic countries. Here you get to know how many people speak Arabic in percentage. The Arabic speaking population is 4.43 %. Arabic Speaking Population is the percentage of world population speaking Arabic language. Along with this, you can also find the dialects in Arabic spoken in various regions under Arabic Dialects. Chinese, Mandarin is the most spoken language in the world and is at the top place. You will get to know second language speakers of Arabic language as well as native Arabic Speakers under how many people speak Arabic language. There is an estimate that there are almost 206.00 million native speakers of Arabic language. Some languages have relatively large populations of native speakers and on other hand some languages have small population of native speakers. 246.00 million population speak Arabic as second language where Arabic is not the native language of the speaker. The number of second language speakers mentioned in how many people speak Arabic are those whose native language is minority language of country in which they live. They learn the second language because it is official language of the country where they reside. French Name for Arabic: arabe. German Name for Arabic: Arabisch. 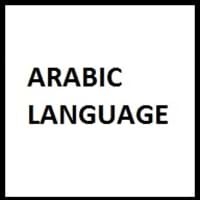 In some applications, instead of using language names they use language codes, check out the language code of Arabic on Arabic Language Codes.